Puttu ularthiyathu / puttu upma is a traditional Kerala dish which can be prepared from fresh puttu or left over puttu. I have already shared the recipe of puttu. Puttu is a traditional breakfast dish in Kerala and is served with pazham which means banana and papad or with kadala curry (black chickpeas curry). 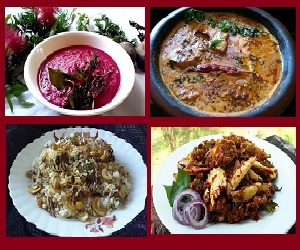 Puttu with kadala curry is a very tasty combination. But sometimes at home, we have some extra puttu which will be left as such and no one will be willing to have it. In that case, this upma or ularthiyathu comes handy. 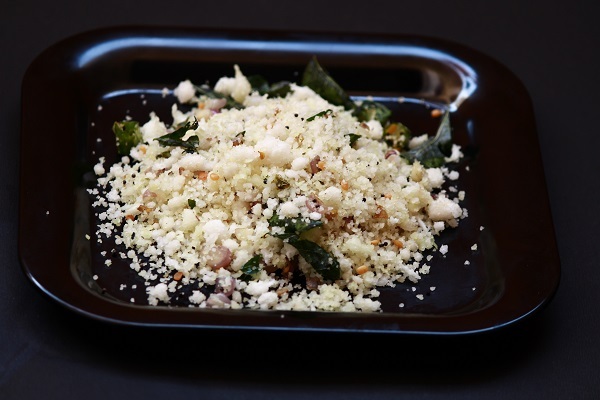 This is a twist to normal puttu and can be served with coconut chutney or with kadala curry. The method of preparing puttu ularthiyathu is very easy especially when you have leftover puttu. Finely chop some shallots and keep aside. In a pan, heat oil, splutter mustard seeds. 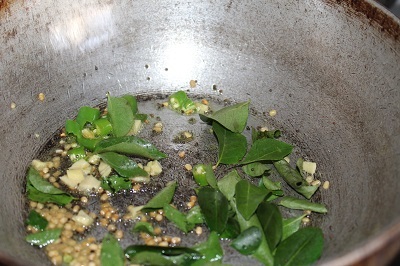 Then add urud dal, curry leaves, ginger, green chilly, hing and saute for some time. Then add powdered puttu, sprinkle little water, mix well, stir for 5 minutes. Puttu ularthiyathu ready. Serve it for breakfast or snack. Now to the recipe..
1. Mix together the required amount of water and salt. Sprinkle this salt water slowly over the rice flour and mix well. Continue this process till the rice flour becomes wet and smooth. Do not use too much water. 2. 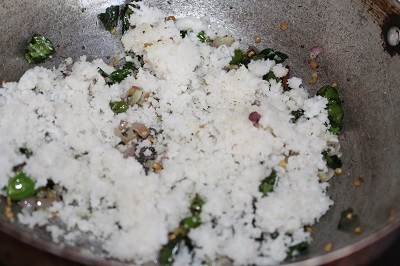 Add little grated coconut into prepared flour and mix well. 3. For preparing puttu, put a layer of grated coconut into the puttu kutti, followed by rice flour and then again a layer of grated coconut. Steam it for 5 – 8 minutes until the steam passes from the top of the puttu kutti. 4. Powder the cooked puttu with hand or with a spoon. 5. 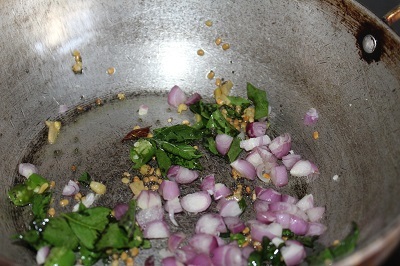 Heat ghee in a kadai, add mustard seeds, curry leaves, split dry red chilly, chopped ginger, shallots, and little salt. 6. Saute it well and add the puttu and sprinkle little water into it. Mix well and stir it for another 5 more minutes.